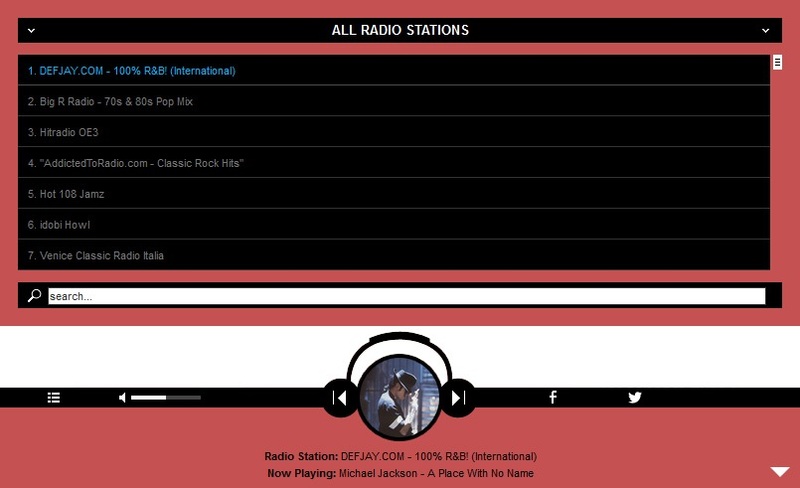 Its authors have provided over 30 js options from where you can customize your player, including: width, autoplay, colors and other parameters. Uses Last.FM API to display the photo of the current playing singer. 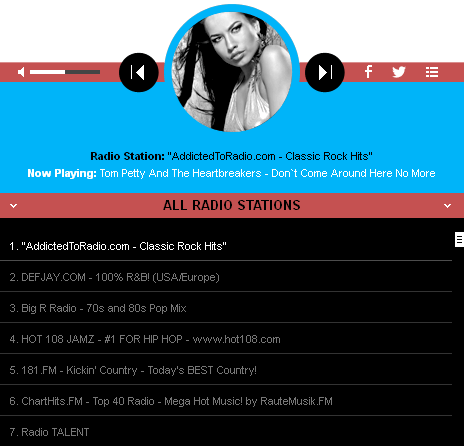 Radio Player jQuery plugin, with playlist, categories and search, supports Shoutcast and Icecast radio streaming and has over 70 parameters for customizing. 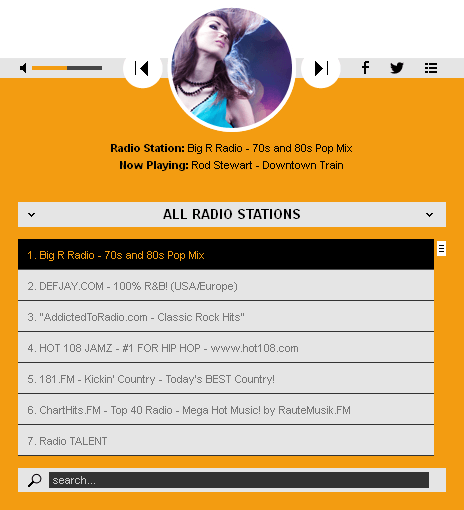 You have over 70 parameters from where you can customize this player – autoplay, initial volume, playlist, categories and color parameters. 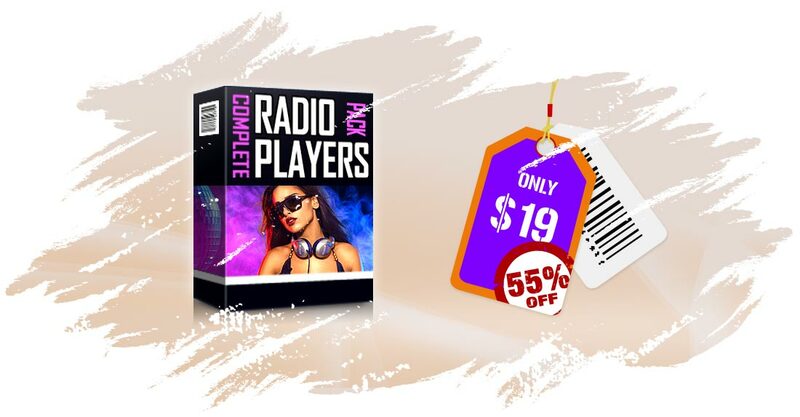 You can have this HTML 5 Radio Players jQuery Plugins Bundle now with 55% discount.